When I’m reading for leisure, I tend to read very slowly. I’ve never felt like reading was a contest so when I decide to read a book, I take my time. I read a few pages in the morning, a few more on the train, maybe a few more on a lunch break, and a few more before I fall asleep at night. Update: This is the old me. If I started a book, I finished a book! The idea of having unfinished books on my shelf used to DRIVE ME CRAZY! Honestly, I had no idea what “DNF” meant before 2016. But that had to change, so I imposed a 25% rule. I have to be invested in a book by the time I am a quarter of the way through it. If not, on to the next! From what I’ve heard in the book world, I’m quite generous because I’ve heard of people bailing after page one or one chapter, but I feel like 25% of a book is enough time for you to grab my attention. 2. I use an E-reader now. I am a book snob. An “I love the smell of books” book snob. 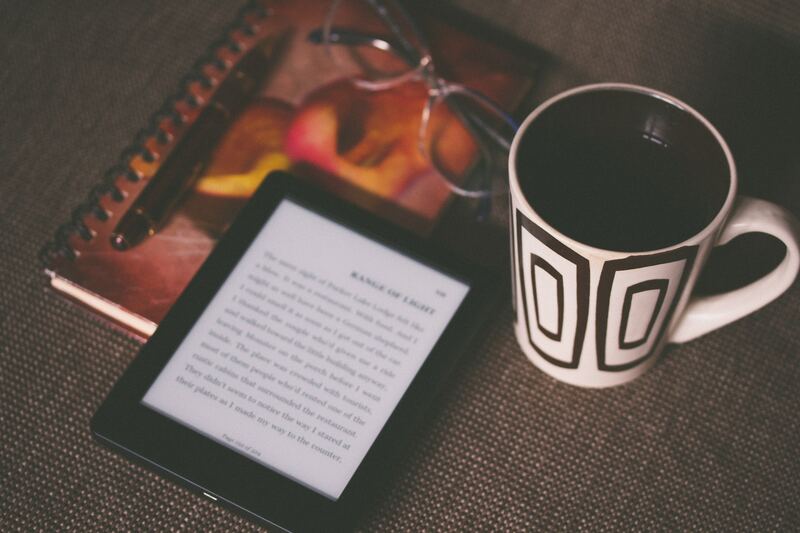 An “e-readers do not compare to the feel of a REAL BOOK in my hands” book snob. But this too has changed because I quickly found out that ARCs (advance review copies) are delivered a lot quicker when you opt for the e-version. In addition to this convenience, it also allows me to carry more books with me at a time. I am CONSTANTLY considering books for inclusion in My Lit Box, so it’s a must that I have as many as possible at my fingertips at any time. This one kind of ties back to point #1, but I had to learn to be honest. Pre-My Lit Box, if you asked me to review a book, I would have hemmed and hawed, and my final review at worst would have still been polite. Post-My Lit Box, my reviews are downright brutal (in my head only, of course) and I have to be this way. I am honored so many people look at My Lit Box and trust the recommendations I share, and I take that responsibility to heart. Every title won’t resonate with every reader, but I want to be able to rest, assured that I recommended what I truly believed was a good book. 4. I’ve broadened my tastes. Before My Lit Box, I strictly read adult fiction that was mostly written by Black women. This is entirely fine and something I’m very proud of, but I knew if I wanted to be true to My Lit Box’s motto of highlighting writers of color I needed to open myself up to not only other from other backgrounds but to new genres as well. I used to shy away from young adult novels deeming them immature and unrelatable, and I just knew there was no chance I’d see anyone who looked anything like me. I was wrong. The Hate U Give. History Is All You Left Me. The Sun Is Also A Star. The Education of Margot Sanchez. All Young Adult books I devoured and loved. My Lit Box has introduced me to amazing stories and talented writers I fear I may never have been introduced to otherwise and I think I’m a better and stronger reader because of it. Since your love affair with literature began, how have your reading habits evolved? Share some of these changes with me below in the comments! I love this post! 25% ? That is really a generous amount!